Just sorted Halloween out and now rushing head first into Christmas, phew! Lots of gorgeous candles to talk about. First up is Stoneglow. We adore this brand. Always updating their range for each season and this years Christmas selection is no exception with Twinkle Twinkle Star filled gel candles with 3 different seasonal scents. Problem is they are so good they fly off the shelves so if you are thinking Christmas shopping, do it now if you want to get your hands on these. Trust me, they will soon be gone! Next up, and this might just cheer you up during those ghastly dull dark evenings to come, why not treat yourself to the warming winter scents by Kenneth Turner. This is a luxury brand that is hard to beat where fragrance is concerned. 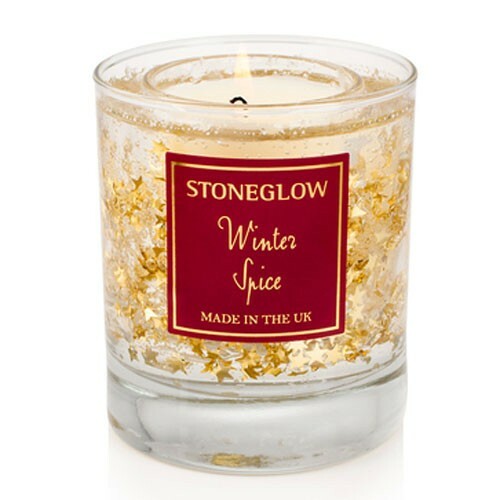 We particularly love the new scent of Winter Berries. A rare vintage of sweet red berries, satsuma and cinnamon in harmony with iris and vanilla. And the added bonus is that you get a gorgeous glass posy vase after your candle has burned down. Bagetfulness. This month I have consistently forgotten those flipping re – usable bags. If I see one more smug person in the supermarket with a hand full I might just grab bags off them and do something other than help said smug persons pack their bags with shopping. I came across this blog post Remember the Re-usable bags! For a Friday chuckle have a read. Might even help you/me to remember the wretched things next time. Newer The First Christmas Candle Of 2015!